PRESS RELEASE: Have you ever thought why quality PA speakers are so expensive. So have we! Audio-Max was created in early 2010 by a few individuals with many years in speaker design and manufacture. The idea was to design a quality PA speaker that would not break the bank of aspiring musicians, DJs or venue organizers. The many years of experience were put to good use and a reliable, quality and competitive manufacturer was commissioned to produce the first production batch of PA speakers. Two basic models have been produced, a 10" and a 12" PA speaker. 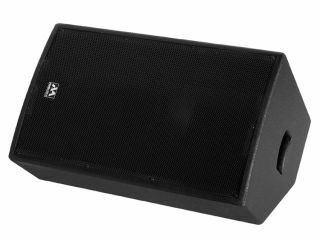 The 12" 2-way bass-reflex PA speaker can handle a maximum of 600 W (300w rms). (the 10" speaker is specified at 250w rms). The stackable trapezoidal cabinet is made of wood for additional rigidity coated with impact resistant paint, which makes this speaker very suitable for mobile use. The cabinet is completed with a top handle, strong metal protection grill, two SPK in- and output connections and 35mm top hat for easy use of speaker stands. With their Trapezoidal design they can also be used as stage monitors. A 12" pressed steel chassis driver is used to produce rich midrange performance perfect for vocal reproduction, especially when combined with the meaty 1.35" exithigh frequency driver. These top quality components with a custom designed cabinet which took years of R&D and experience combine together to make this a stunning product. Audio-Max has further products in development and these will be appearing in our range of products as and when they have been completed and thoroughly tested. The next product will be a quality base bin with lots of oomph to compliment our existing speakers. Whether you're a Musician or DJ, we are determined to build equipment that will help and support you in your entertainment activities by building no nonsense products that provide ALL of the features you need to release your potential. Products that look, feel & sound great and are built to last...at a price you can afford.